Stockdog Training Courses is an on-line class that will cover all steps in training from starting the young pup to finishing touches needed for competition dogs and everything in between. Click RIGHT HERE to see the available courses and pricing and to sign up for the classes you want . You will be able to watch them at your own pace, at your own time. These videos will be available for a year, so watch as many times as you like. Ask questions of the trainer and get your answers here. 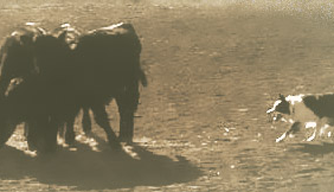 Our free video welcomes you and offers Shane Harley discussing the advantages of a properly trained stockdog. This video runs three and a half minutes. Our other videos run around 15 minutes each. Sign up to see the video - no charge. 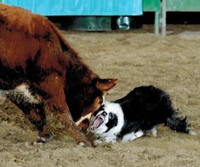 Geri Byrne has been part of a family cattle ranching operation on the California-Oregon border and has raised Border Collies since 1978. When Geri decided to sell Border Collies in Action after 19 years, she did so in order to spend more time training dogs, hosting clinics and producing training videos. Geri formed Little Horse Mountain Productions, a video production company in 2009. A top open handler, in addition to having produced numerous training videos, Geri brings . . .